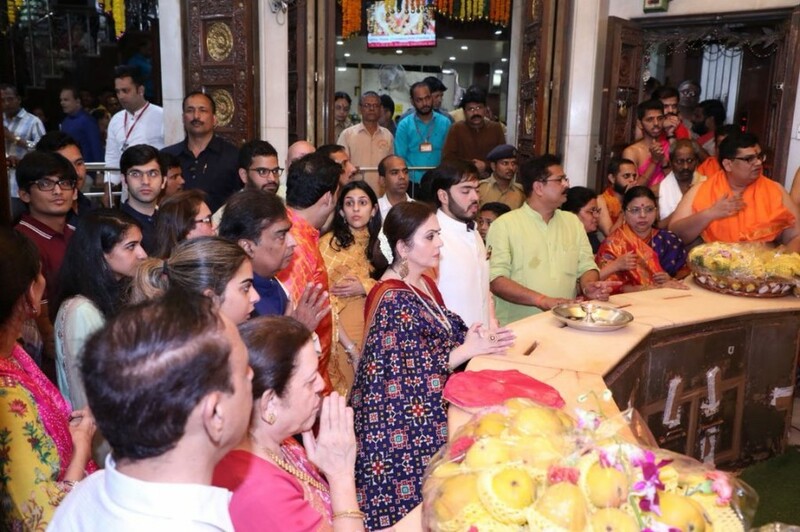 Newly engaged Akash Ambani and Shloka Mehta spotted at Siddhivinayak temple in Mumbai with family. 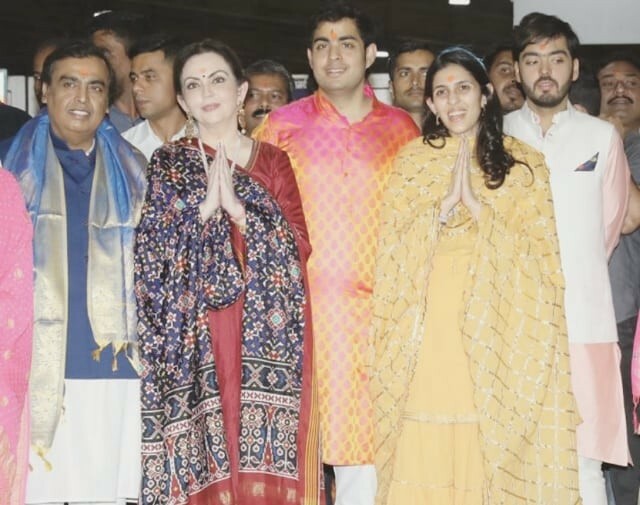 Ambani family recently visited Siddhivinayak Temple in Mumbai after engagement ceremony of billionaire Mukesh's eldest son Akash Ambani with Shloka Mehta in Goa. Shloka Mehta is youngest daughter of Indian diamond magnate Russell Mehta. The newly engaged couple is reported to be married in December. Akash Ambani and Shloka Mehta studied together at Dhirubhai Ambani International School in Mumbai. Mukesh Ambani, Nita Ambani with children at Siddhivinayak temple in Mumbai.